During the month of September, my husband and I watched all the remaining seasons of Californication. If you have never seen the Showtime series, it revolves around the insane life of a successful writer named Hank Moody. He is constantly sabotaging himself and the people around him. I spent the whole series loving him and hating him simultaneously. While I would love to have Hank Moody's success and be published, I would never want his life. 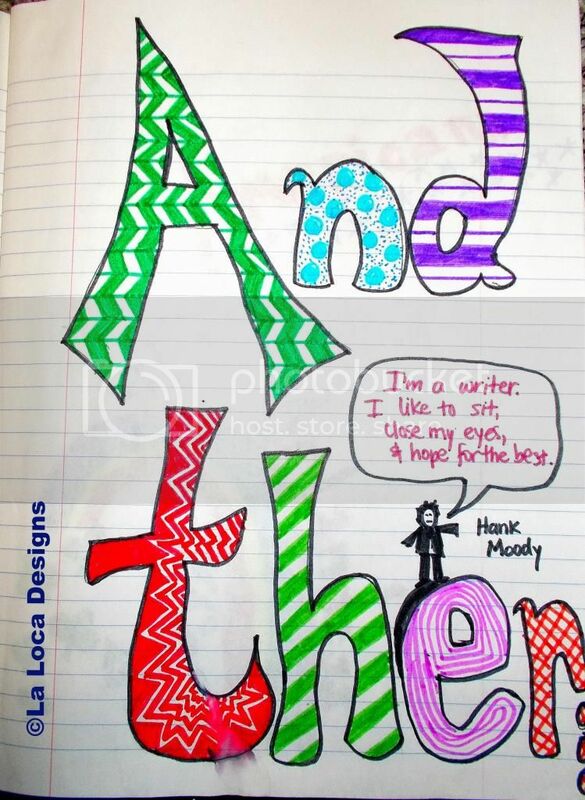 He did, however, inspire me to create this journal page with an interesting Hank Moody quote.